Many consumer confidence surveys depend on how people feel about their own lives since it’s what they know best. If they are asked about the economy, their answer probably tells us about their job prospects more than anything. Confidence is really high before recessions because that’s when the labor market has the least slack, the most wage growth, and the least layoffs. Nothing brings confidence like little fear of being fired and the assurance that a worker can change jobs easily if he/she desires. 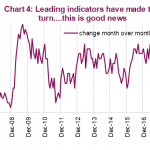 The chart below shows the percentage of respondents who think their financial situation will improve in the next 12 months. This is a very similar question to asking how they are doing now because if someone isn’t doing well now because they don’t have a good job, they won’t be likely to expect good things in the future. Expectations aren’t leading indicators unless you look at the relationship with the current confidence. This graph gives us an alternate vantage point as it breaks the results down by 4 countries and by 2 age groups. 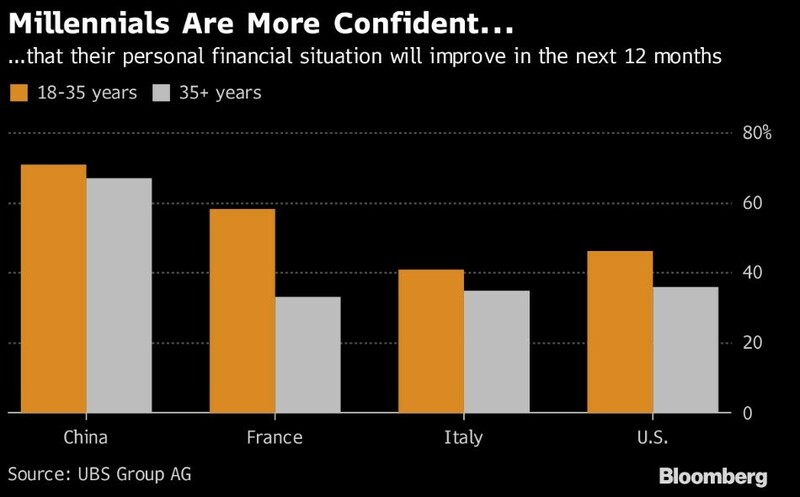 American, Italian, and French people above 35 all have about the same confidence rate; around 1/3rd think their financial situation will improve. Younger people will always expect financial improvement because as they gain education and experience, they will get paid more. It’s disconcerting that less than half of young people in America think their finances will improve in the next year even though the economy is growing quickly and the quits rate is high, meaning people are confident in the labor market. Both young and old Chinese are optimistic because China is adding a great deal of people to the middle class. The long term question for China is how it transitions to a services economy. 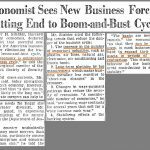 The next few quarters are critical because economic growth has been decelerating for the past few years. American millennials have different financial trajectories than previous generations because they need to work longer to get back to even after taking out large student loans. Marriage and having kids have been delayed as well. That’s not a bad thing as those in prior generations may suggest because millennials have caused the divorce rates among young people to fall. Waiting until you are financially stable to get married is a good idea. 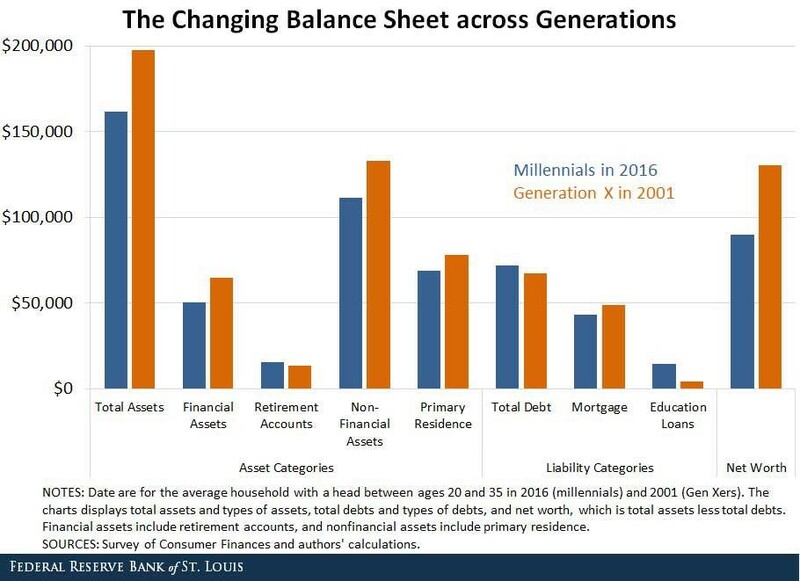 The chart below shows the specifics of how the average person from ages 20 to 35 in generation X in 2001 has a different level of assets and liabilities than the average person in that age group in the millennial generation in 2016. In the asset column, millennials have less money in financial assets, non-financial assets, and primary residence. Millennials have less time to build wealth because they need to pay down student loans. Education loans cause millennials to have more overall debt even though they have less mortgage debt than generation X. This leads to a stark contrast between the net worth of generation X and millennials. The recession also hurt young people entering the labor force. It’s likely millennials’ balance sheet looks better now than in 2016. Although, to be fair, there was a recession in 2001. This slightly dampers the generation X balance sheet as well. The homeownership rate took a sharp dive after the housing bubble burst. It took a while for it to stop falling because even though the economy started to recover in 2009, there was a wholesale change in homebuying as lending standards became stricter. 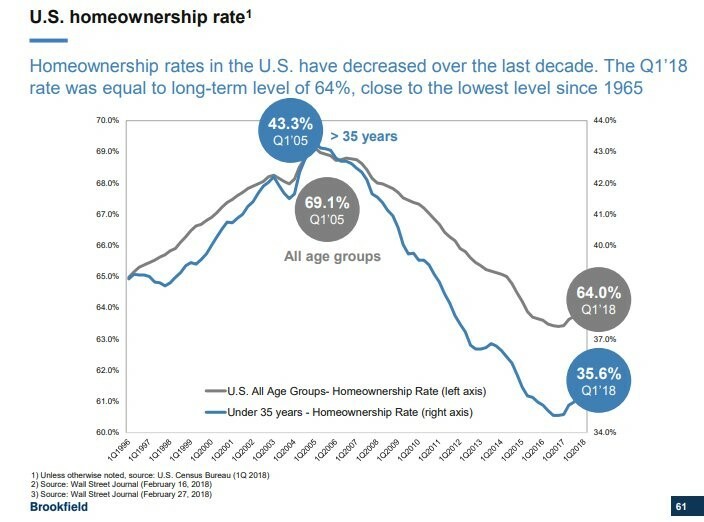 As you can see from the chart below, younger buyers were hit harder than older ones as their homeownership rate fell 7.7% since Q1 2005. Only 35.6% of people younger than 35 are homeowners. That large drop makes the overall 5.1% decline look smaller even though the current rate is close to the lowest since 1965. This data ties in with millennials forming households later as student loans and delayed marriages don’t allow as many people younger than 35 to become homeowners. It’s important to realize that this huge cyclical swing in the homeownership rate is rare. Recessions haven’t caused huge downturns in the homeownership rate in the past because if people buy a house they can afford and have emergency savings, they won’t default on the loan if they temporarily lose their job. How Well Are Households Doing? 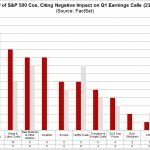 We’re going to show one vantage point which shows consumers are doing great and another which shows subpar results. These two are both informative. 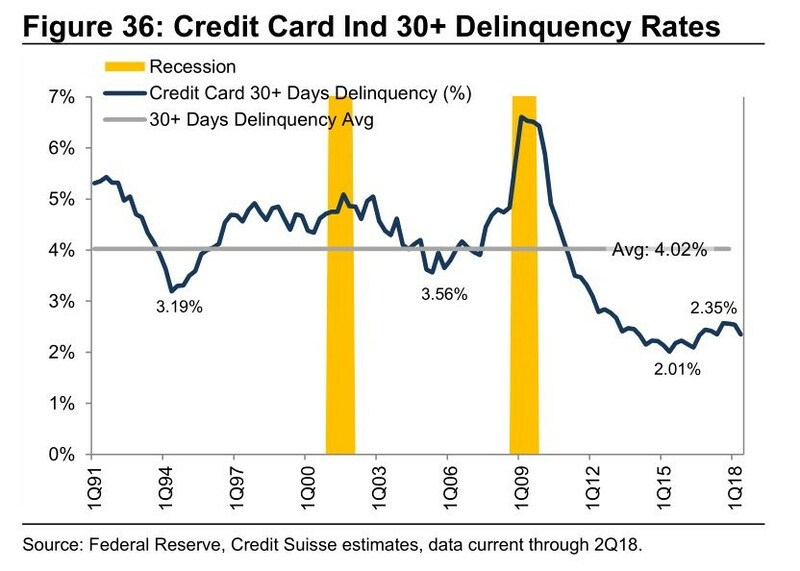 The first chart below shows in the past few years, 30+ day delinquency rates on credit cards have been below any point in the prior two cycles. There has been an increase of student, auto, and credit card loans this cycle, while housing debt is below its prior peak. 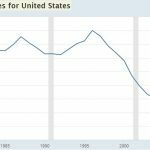 Even with this increase, delinquency rates have been low. This shows how strong households’ balance sheets are. The chart below shows a more bearish perspective. It compares the American GDP growth rate with the ISM imports reading. Imports are correlated with GDP growth because the American economy is driven by domestic demand. America runs a trade deficit which means imports are larger than exports. Even though the ISM PMI has been overly optimistic this cycle, the ISM imports data implies GDP growth will decelerate. To be clear, the September manufacturing ISM PMI implied GDP growth would be 5.1%. Either this imports category is powerful because it shows some weakness within a strong report or it’s an outlier which should be ignored. The imports reading should be closer to the overall reading since Q3 growth appears to be slowing according to estimates. American millennials might not be that confident because they have less assets than the prior generation and their homeownership rate has declined. The good news for the health of the consumer overall is credit card delinquency rates are really low. The hope is student loan delinquency rates also fall., unfortunately, that may not be the reality according to our previous article. 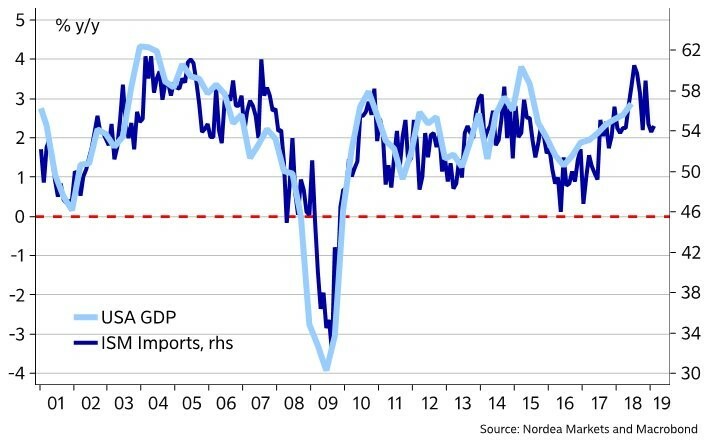 The ISM imports component has been weakening in the past few months which either means nothing or domestic demand is weak. Imports could also be hurt by the trade war with China.